In the first part of the book, urological investigative procedures are described, with greater emphasis given to those which are more readily available for use in general practice. Particular attention is given to radiographic techniques since these are essential in the investigation of animals with urological disorders and the facilities required are available in most practices. 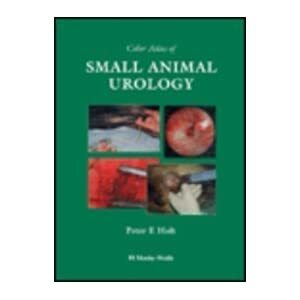 The remainder of the book is centred around descriptions of urological surgical techniques. The indications for each technique are illustrated and potential problems (and their avoidance) discussed. The techniques themselves are illustrated in colour and supplemented by black and white photographs, line drawings and tables.